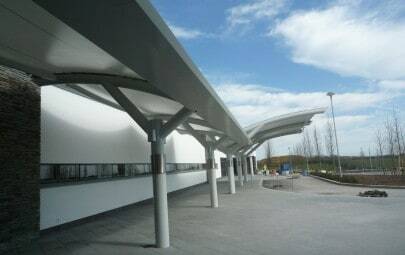 The new National Assembly of Wales building in Merthyr Tydfil, is one of a number of regional satellite assembly buildings which seek to engender local legitimacy for the Assembly. 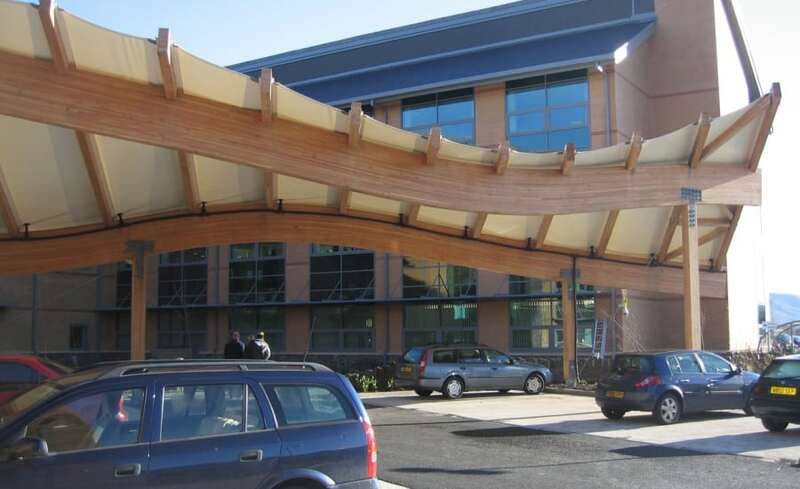 Noel Architects, the designers charged with creating the building, incorporated a large laminated Timber framed entrance canopy to make a bold and daring statement to its visitors. 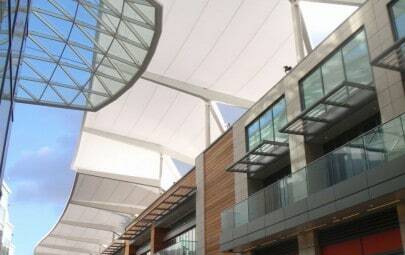 With undulating purlins and a fan like rafter arrangement, the canopy forms a focal point for the observer of the front of the building. 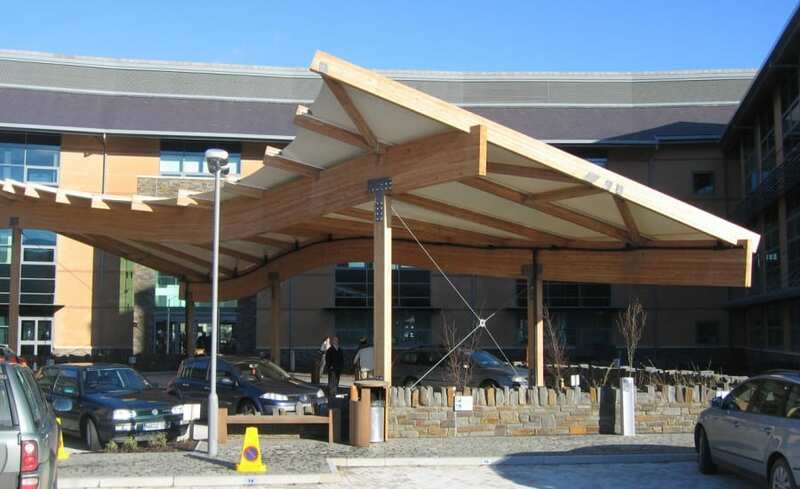 Fabric was stretched to provide both a sheltered area for the disabled parking at the front of the building and a centrepiece for this landmark building. 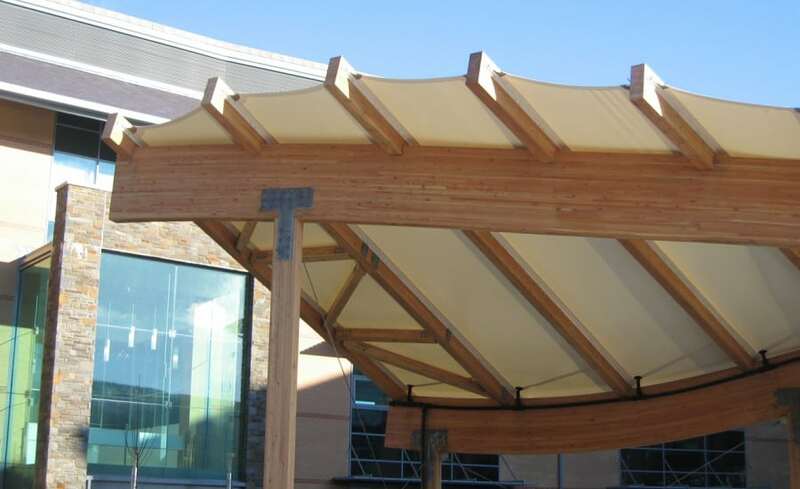 The fabric is very flat in form and is fixed to facing edges of the lam beams. 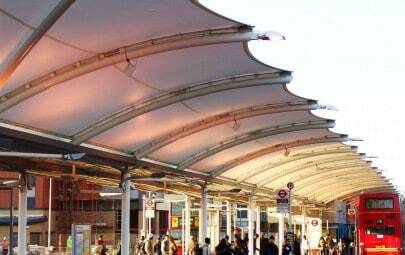 Fabric was chosen primarily to accommodate the changes in gradient, angle and radius and proved far better option than other materials. 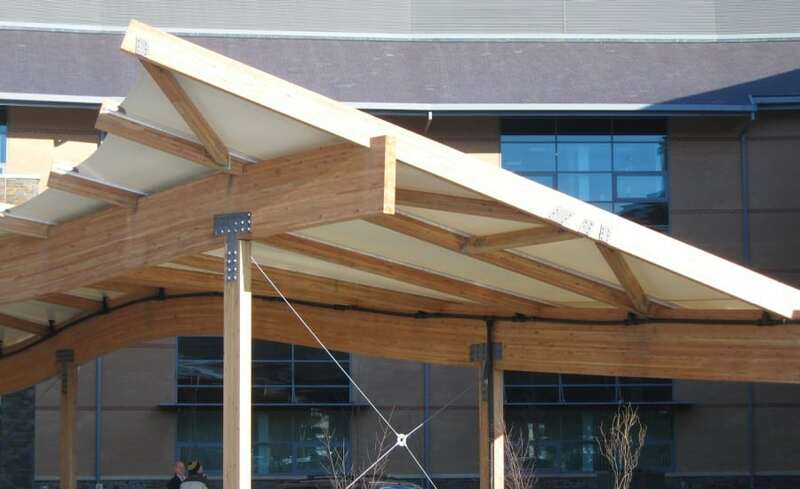 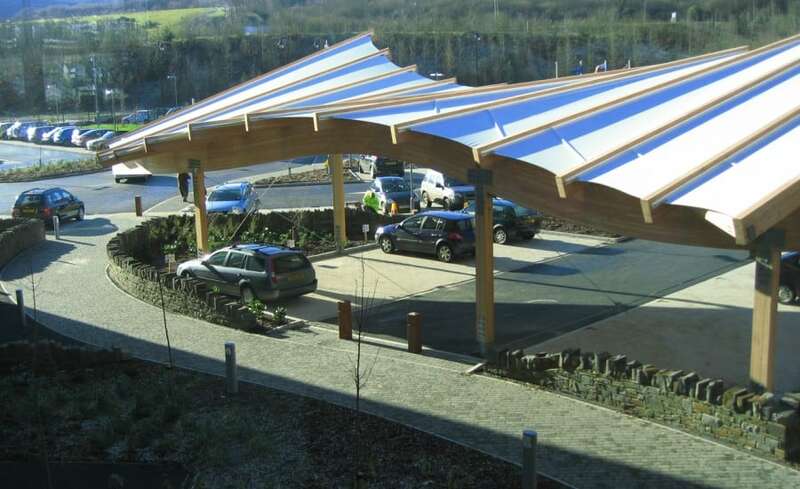 The canopy had to be erected quickly after the main building works were completed and before the building was opened for official use. 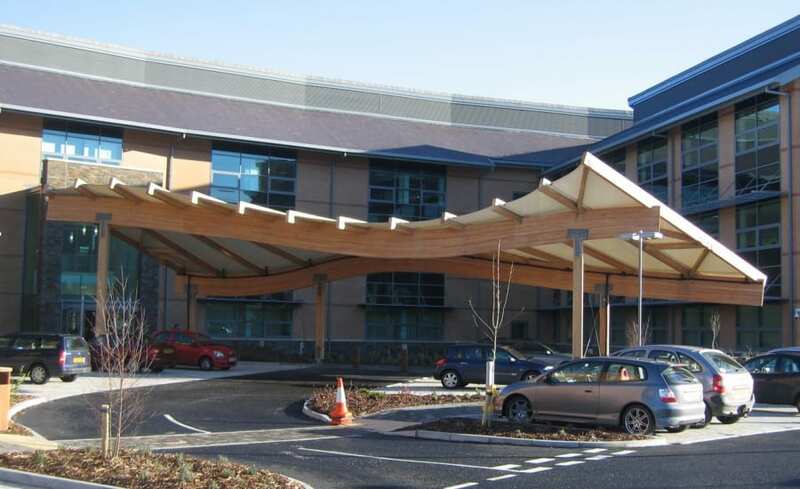 The timber work was extremely large, getting the lorries on to site and unloaded was a challenge in itself and had to be completed out of hours.